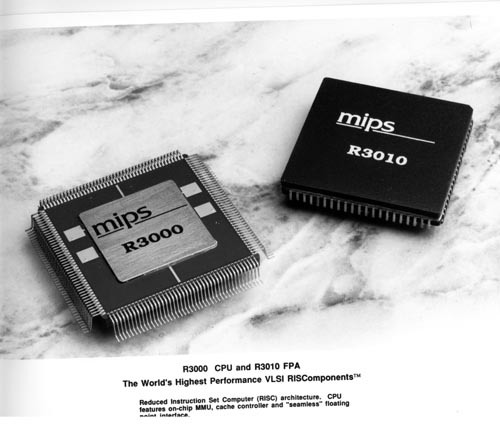 B&W image of MIPS R3000 and R3110 Chips. Reduced Instruction Set Computer (RISC) architecture. CPU features on-chip MMU, cache controller and "seamless"
floating point interface. RISComponernts is a trademark of MIPS Computer Systems, Inc."